Two men have been found guilty of causing the death of a 17-month-old boy in Haringey in north London. 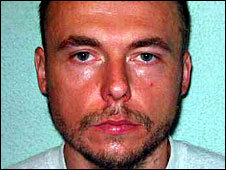 Jason Owen, 36, from Bromley, and a 32-year-old had denied killing the child in August 2007. He suffered a series of injuries, including a broken back. The boy's mother had pleaded guilty to causing the death of the boy, who was seen about 60 times by social workers, doctors and welfare and family groups. Two social workers and a lawyer have been given warnings over the case. Both men were found not guilty of the child's murder or manslaughter at the Old Bailey. They were convicted of the specific charge of "causing or allowing the death of a child or vulnerable person", under section five of the Domestic Violence, Crime and Victims Act 2004. The law was brought in to prevent several adults blaming each other for the death of a child or vulnerable adult. A post-mortem examination revealed the baby, who had lived in Haringey, had suffered numerous injuries including eight fractured ribs and extensive bruising. The boy was on the child protection register and was seen about twice a week by health or social workers while he was on the register. But his mother had told them lies and even smeared him with chocolate to hide bruises. In the 48 hours before the boy was found dead in his blood-spattered cot, a doctor failed to spot his broken spine. Police told the mother she would not be prosecuted after being arrested twice for suspected child cruelty. She was arrested on 11 December 2006 and 1 June 2007 after referrals from Social Services. A Crown Prosecution Service spokeswoman said: "Due to the conflicting nature of the evidence received after the second arrest, the CPS had no choice but to conclude that there was no realistic prospect of a conviction." The tragedy involves Haringey Council, which was heavily criticised over the murder of Victoria Climbie in 2000. The eight-year-old died after Haringey care workers and police failed to save her. The Haringey Local Safeguarding Children Board (LCSB) launched an investigation following the 17-month-old boy's death. The LCSB said following the inquiry, two social workers and a lawyer had been given formal written warnings. Its report into the death said that just over a week before he died, legal advice was that on the information provided, the child should not be taken into care. 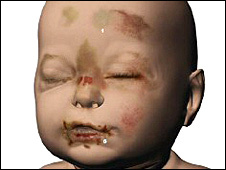 It added there were many factors which contributed to the inability of the agencies to understand what was happening to the child. "With the possible exception of the paediatric assessment of 1 August, none on their own were likely to have enabled further responses that might have prevented the tragic outcome," the report said. Following the verdict Sharon Shoesmith, chair of Haringey LSCB, said: "Of course I cannot begin to tell you the shock and horror that there is across Haringey. "All the signs were that we were dealing with a mother who had poor parenting skills." She said arrangements were made for the mother to go on a parenting course and she seemed to be "co-operating". "The very sad fact is that we can't stop people who are determined to kill children. "I am satisfied that the action that should have been taken was taken." Mor Dioum, director of the Victoria Climbie Foundation, said: "This case is worse than Climbie. The signs were there but not followed." Lord Laming, who conducted a review following Victoria's death, told BBC News: "It would be awful wherever it happened, but it seems particularly sad that it has happened in the same area where Victoria experienced this awful cruelty and a terrible death and involved the very same services." Following the convictions Children's Minister Beverley Hughes announced an England-wide independent review of child protection services. She said: "To ensure the reforms the government set out following Lord Laming's inquiry are being implemented systematically, [Schools Secretary] Ed Balls and I have today asked Lord Laming to prepare an independent report of progress being made." A detective in the case described the boyfriend as "sadistic - fascinated with pain" and Nazi memorabilia was found in the house. She said the mother was "a slob, completely divorced from reality and put her lover before her child". 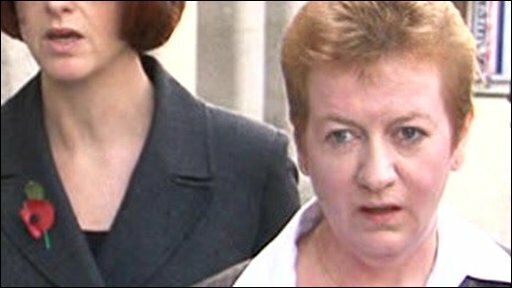 Det Supt Caroline Bates said police errors were made which caused a delay at the start of the abuse inquiry, but these had not been significant to the outcome. Dr Jane Collins, chief executive of Great Ormond Street Hospital which provided paediatric services to the child, said that Dr Sabah Al-Zayyat, who was involved in the failed clinic check, no longer worked there. She said Dr Al-Zayyat was appealing against a decision not to renew her contract at the hospital. "It is clear that more should have been done when the child was seen by a paediatrician two days before the child died," Dr Collins said. A court order prevents the identification of the baby's mother and her boyfriend. The mother, her boyfriend and Owen will be sentenced on 15 December.